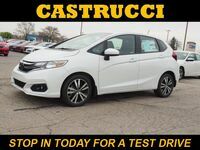 Interested in a 2019 Honda Fit? Behold the 2019 Honda Fit! Although it may seem small and uninspiring at first, that couldn’t be further from the truth. 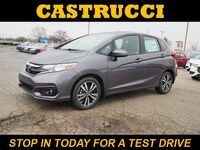 Especially in recent years, the Honda Fit has expanded its interior, boosted its capabilities, and developed its features to appeal to drivers in Dayton, OH and the surrounding area. With comfortable seating for five passengers and a versatile cargo area, the Honda Fit is ready for almost anything. The 2nd-Row Magic Seat® has a number of configurations, allowing you to transform the cabin of the Fit to meet your ever-changing needs. In fact, you can utilize up to 52.7 cubic feet of cargo space! Drive confidently in the 2019 Honda Fit, thanks to available Honda Sensing®—a suite of technologies designed to improve safety and assist drivers on-the-go. Features include Collision Mitigation Braking System™, Road Departure Mitigation System, Adaptive Cruise Control, and Lane Keeping System. Don’t let its size fool you. The Honda Fit packs quite a punch. All Fit models are equipped with a 4-cylinder engine that can deliver up to 130 horsepower when paired with the 6-speed manual transmission. Drivers can upgrade to the available CVT for added convenience and a boost in efficiency. 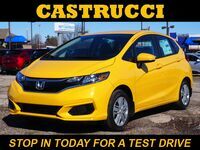 Test Drive the Honda Fit at Matt Castrucci Honda! What are you waiting for? 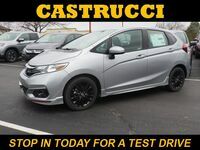 Get in touch with us to learn more about the 2019 Honda Fit today!